Italian frescoes are literally a work of art. 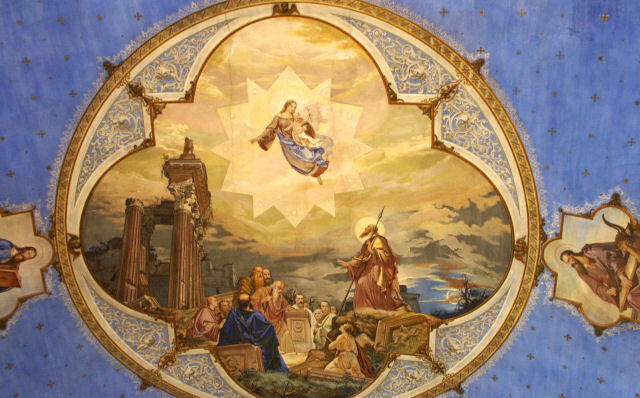 This ceiling fresco in Chiesa dei Carmini is just one of the many frescoes you'll find in churches around Vicenza. With the low lights in the church it wasn't until we got home and saw the picture that we realized just how rich its colors were.